The HP WX3000G Wireless Switch Series comprises wired and wireless unified switches that integrate both a wireless controller and 1000 Mbps Ethernet switch functions. 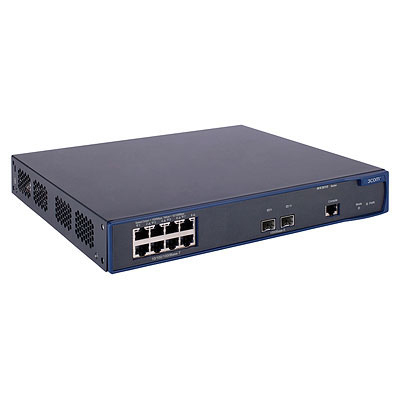 The WX3000G series switches provide 1000 Mbps Ethernet ports, each supporting a maximum power of 25 W, PoE+ (draft), and IEEE 802.11a/b/g/n APs, while delivering unified wired and wireless access control functions. The 3000G-24G-PoE+ wireless switch provides two 10-GbE slots on the rear panel. This relieves the transmission bottleneck at the core of a WLAN network. 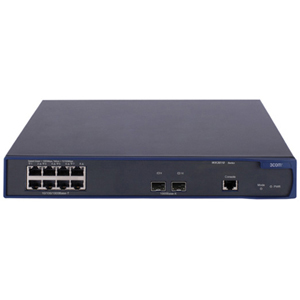 The WX3000G series switches are suitable for small- and medium-sized enterprise networks, as well as branches of large enterprise networks that require both wired and wireless access services.